New SQLWord release 11.0.4 available (jan 2017). 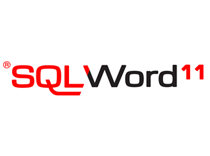 The SQLWord Development team is pleased to announce SQLWord release 11.0.4. This release upgrades the SQLWord Apex Demo Application from Apex 4 to Apex 5. The new SQLWord Apex demo is based on the Apex 5 Universal Theme with a fresh new modern look and feel. Enhancement: Microsoft Office 2016 supported. Enhancement: Microsoft Windows 10 supported. Enhancement: Apex5.0 demo application shipped. Enhancement: Create PDF documents implementation shipped. Enhancement: Performance improvement by using internal arrays of clob data. Enhancement: XML formatting supported by hint #SQLWORD_FORMAT. Enhancement: Procedure sqlword.send_email extended with CC en BCC parameters. Enhancement: Procedure sqlword.put_data (p_text in nclob) overloading added. Bug Fix: Including external images caused ORA-06502 PL/SQL: numeric or value error. Bug Fix: Large clob content caused ORA-06502 PL/SQL: numeric or value error. The SQLWord Development team is pleased to announce the upgrade of the SQLWord Apex Demo Application from Apex 4 to Apex 5. The new SQLWord Apex demo is based on the Apex 5 Universal Theme with a fresh new modern look and feel. This demo application is already available for download and will be shipped within the new SQLWord release later this year (Q4).